I’ve stayed in a lot of hostels but never found the urge to write a review. This hostel is f*cking amazing. Its like a budget palace. The facilities are just top of the list. The hosts and owners Petrovic family are amazingly polite and helpful. 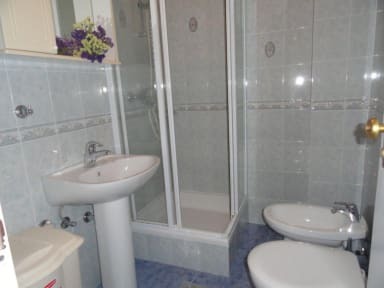 The place is in the residential area but its not far from the main attractions. PS: No one in any hostel will pick you or drop you to the bus station. Except these guys. PPS: Get the breakfast, its filling and Mrs Petrovic makes amazing omelets. Lovely hostel run by a really helpful family. Freshly renovated too. Would stay again! Great hostel to stay at. Great location only 15 minutes from old town. Easy to navigate to. Has a great family touch. Grocery store , bakery and pizzeria are 2 minutes away. Pizzeria has one of the best cappuccino I've ever had. This place is awesome! Best value for money and the family running it is really nice. The rooms and kitche n are nice and clean and you get to meet a lot of people. Its 1.5 km from the old city so not more than a 20 minute walk. You can take the bus if you like. Super nice family hostel! They even picked me up at the bus station! Due to some troubles on the road, we arrived at midnight to the hostel, however, the owner was waiting for us and helped us find parking. You could tell that she was displeased about the time, but is understandable considering the place is a family business. The next day everyone was very nice and friendly. It is a shame we could not stay more days. Such a pleasure! After a nightmare ordeal traveling from Thailand I got picked up at DBV at 9pm. It was such a relief to see a smiling face waiting for me. I especially appreciated it since it was outside of check-in time. Communication was easy even though my plans were up in the air (missed my flight). I got a delicious breakfast and ride to the bus station in the morning. I only had enough time to walk around by the water a bit but definitely a great location to spend more time at! The place is clean , hygienic and extremely comfortable.However, a lot of climbing is required to reach the hostel. The hostel is run by a beautiful family and they were extremely kind and helpful. Had a wonderful stay here!! Although the location is not very good but u can tell them to pick u up if they have time. And the staff is very very nice and helpful. Give me the useful information. Very cheap and are friendly at first. There was a menu in the room for drinks and some food yet I went to check with one of the family members and she rudely shooed me away saying to go to a market 5 minutes away which was already closed.. at 8:30pm. 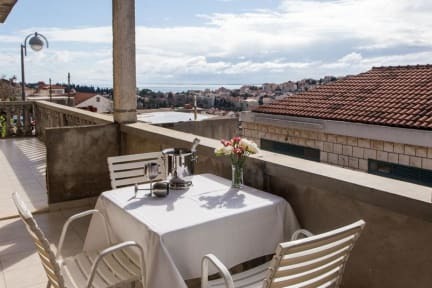 Woke up with multiple bed bug bites, and its quite far up from most places but in Dubrovnik that is to be expected. Didn’t have a secure place for us to keep our bags after checkout either when we wanted to see the city but were leaving around 5.